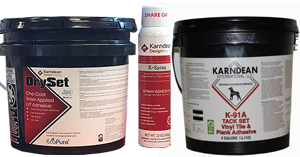 Find the classic K91 adhesive, DrySet Adhesive and NEW K-Spray flooring glue for installation of Karndean floors. Find Prevail 3100 Spray Adhesive. Don't forget about the tools needed to install flooring! Must-have tile installation tools including grout sponges and tile saws. Also find floating floor accessories like installation kits and Click Seal which make installation a breeze! 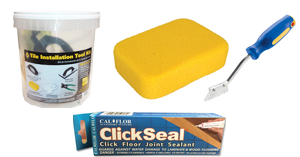 From caulk guns to hard to find removal and smoothing tools, must have accessories for applying caulk.